How Can Dealerships Sell More Cars? The auto industry can be a tricky business. With dealerships on every corner and repair shops on every street, it can be difficult to make your business stand out. Time and time again at Marchex, we discover deep insights into the call data of businesses just like yours, insights which enable these business to take the next step in not only their marketing, but their customer experience. Our team of data scientists and analysts at The Marchex Institute spend their days crunching numbers, looking for trends, and discovering what makes your prospects and customers tick. And they’ve discovered some simple, easy to implement, and most of all, effective suggestions to give your business the advantage it needs to succeed. Today, we’re going to look at Dealerships and one simple tactic they can take to boost their sales numbers. And stay tuned over the next few days to see more ideas to give you the advantage in the auto industry. 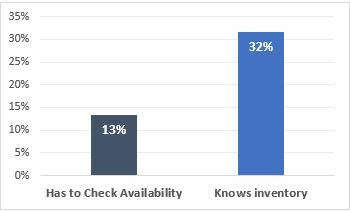 Being able to answer questions about your inventory can increase the caller’s commitment rate to come in and look at a car. Seems intuitive, right? But it really does make a huge difference. Commitment rate increases 19 points when the dealer knows whether or not they have a car in stock versus having to check and get back to the caller at a later time. The more knowledgeable every member of your staff is when they answer the phone, the more likely it is that your caller will walk through the door. By just spending a few minutes a day learning the dealership’s inventory backwards and forwards, your staff will be seeing more people and, ultimately, closing more deals. 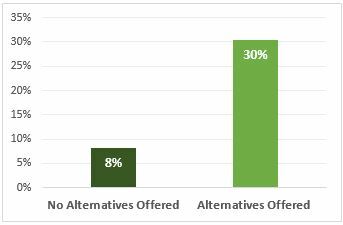 Offering alternatives when the requested car is unavailable greatly increases the commitment rate from callers. Callers don’t like running out of options, it’s a surefire way for the call to end without an appointment. By having a few other similar cars in mind, your staff is able to both prove themselves knowledgeable, but also as an advocate for the customer. Commitment rates increases by 22 points when the dealership offers alternative options for the caller when the requested car in not available. Your callers will feel as if they are in good hands, dealing with a sales representative that is working to get them what they want. That simple act is enough to get a foot in the door. Discussing financing and trade-in value over the phone results in a higher commitment rate from the caller. Remember what we said about options? Like our other suggestions, this may seem like a no-brainer, but the more information a caller can get over the phone, the more comfortable they will be when they walk onto the lot. 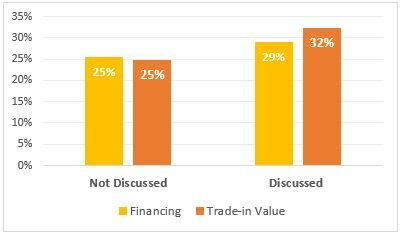 Trade-in value has a bigger impact on caller’s commitment rate than financing. Remember, someone who is calling your business is researching, they want information and if they don’t get it from you, they will get it from someone else. The more knowledgeable your staff is when they pick up the phone, the more likely that conversation will end in a sale. Drill your inventory, understand the alternatives and know how to talk dollars and cents. These are just some of the general insights that Marchex technology can bring to your marketing and operations. If you’re interested in getting data directly related to your business, increasing your call volume, and understanding your customer experience, please contact us today.